Thomaston Place's upcoming three-day auction on March 1-3 features over 1,200 lots of fine art, rare books, antique furniture, jewelry and more. 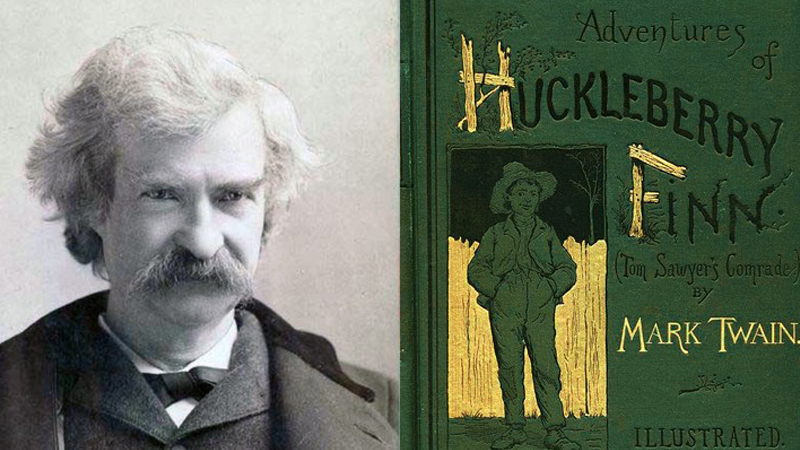 Huckleberry Finn, Mark Twain. 1st edition, 1885. 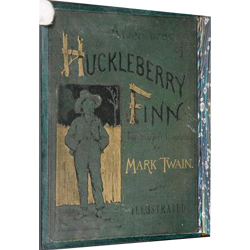 In 1885, Mark Twain published Adventures of Huckleberry Finn in the US, as a sequel to his very successful Adventures of Tom Sawyer. The canonized work of American literature follows the plucky young Huck as he traverses down the Mississippi River with his comrade Jim, an escaped slave. This beautiful first edition of the famous novel is finely bound in recent full green leather, with a gilt title and decoration to the spine, and is illustrated throughout. 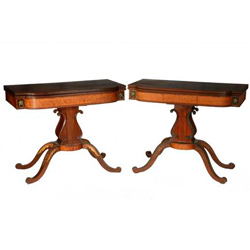 This magnificent pair of American Federal period shaped top card tables were crafted in mahogany with bird's-eye maple panels, gilded leg decoration, brass lion head ring pulls mounted at the end flats and four arched and leaf painted legs ending on scrolled feet. Still in pristine condition, these tables date to the Federal period (c. 1780-1830), after the Revolutionary War, when furniture was influenced by the English Georgian style and Chippendale design. 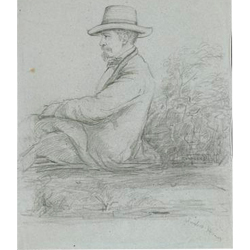 Winslow Homer (1821-1896), the 19th century American landscape painter, drew this Portrait of John Murray Brown with graphite on grey-blue paper with a rough landscape sketch on back. John Murray Brown (1842-1908) was the Senior Partner of the Boston publishers Little, Brown and Co. Brown and his family would summer on Monhegan Island, Maine, when Homer was there and the two became friends. This portrait was in the collection of Joseph Imhoff (1871-1955), a self-taught lithographer for Currier & Ives in NY, who was ultimately one of the most well-known portraitists of Native-Americans in Santa Fe, New Mexico and collected American portraits. 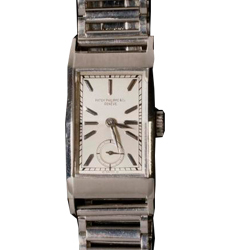 This vintage Tank Form platinum wristwatch by Patek Philippe has a faceted crystal with adjustable platinum band and inscribed on the back to "WSH, a real friend, from H&L Boys 1938." It is in fine running condition. Tiffany glass was produced between 1878 and 1933 at the Tiffany Studios in New York by a team led by Louis Comfort Tiffany. 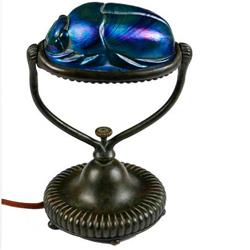 This Tiffany Studios bronze scarab desk lamp boasts a iridescent green and purple lustered Favrile glass scarab form shade, with two-arm harp and fluted bronze base. Italianate Villa Flower Garden with Four People, John Terelak. 1998, oil on canvas. 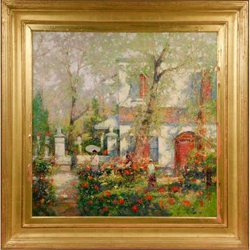 American Impressionist John Terelak (1942-) painted this oil on canvas titled Italianate Villa Flower Garden with Four People in 1998 and inscribed it to his friend Paul Famolari, a Massachusetts art dealer. Terelak was known for his dreamy landscape and urban scenes of New England.